(NaturalNews) "Papers, please?" That's a question you might hear from authorities trying to verify who you are if you lived in an authoritarian police state. It's not likely that Americans will be asked to prove who they are anytime soon because, after all, we've got a Constitution, and it protects us against unjustified invasions of our privacy. The same is true of a so-called "national ID card," right? That could never happen in America. Only it has happened -- or will happen, depending upon which state you currently reside in. If you've never heard of the "Enhanced Driver's License," or EDL, you're not alone. Most of us haven't. But they are just that -- national (and soon, global) ID cards [states will be forced to issue them to obscure the fact] that immediately verify who we are, without overtly asking us for our "papers." You know who else has heard of the EDL? The Department of Homeland Security. In fact, the EDL is part of the massive anti-terrorism bills passed in the wake of the 9/11 attacks that were sold to unsuspecting lawmakers as a "common sense security measure." And to make it even more palatable to a wider body of lawmakers, the central planners who wrote the legislation made sure to include the fact that EDLs would help weed out illegal immigrants as well. 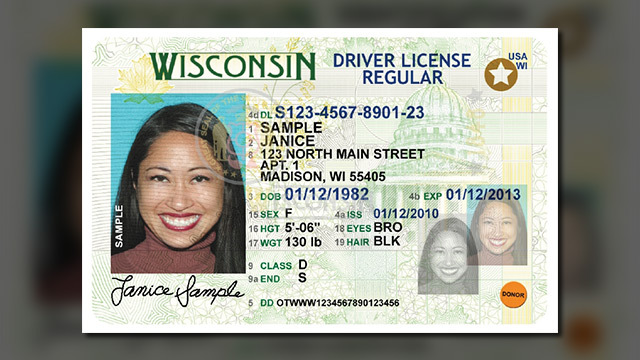 State-issued enhanced drivers licenses (EDLs) provide proof of identity and U.S. citizenship, are issued in a secure process, and include technology that makes travel easier. They provide travelers with a low-cost, convenient alternative for entering the United States from Canada, Mexico or the Caribbean through a land or sea port of entry, in addition to serving as a permit to drive. a Machine Readable Zone (MRZ) or barcode that the officer can also read electronically, if RFID is available. No personally identifiable information is stored on the card's RFID chip or can be transmitted electronically by the card. The card uses a unique identification number that links to information contained in a secure Department of Homeland Security database. This number does not contain any personally identifiable information. The EDL initiative is actually known as REAL ID, after an act of Congress of the same name (which was signed into law by President George W. Bush, by the way). And states have known that it was coming for some time. The Department of Homeland Security (DHS) announced that phased in enforcement of the REAL ID Act will begin on Jan. 20, 2014. This announcement follows a nearly year-long period of deferred enforcement. The REAL ID Act aims to create national standards for state issued driver's licenses and identification cards so they may be used to board commercial aircraft and access certain federal facilities. According to NCSL, enforcement of the standards in certain parts of the federal government began in January 2014; full implementation is expected by Jan. 19, 2015. Oh, and yes, there are some states who are opting out of REAL ID, but the law will ravage residents of those states, because among other access denials, anyone without an EDL/REAL ID by 2016 won't be able to go into any federal buildings or board a commercial airliner.